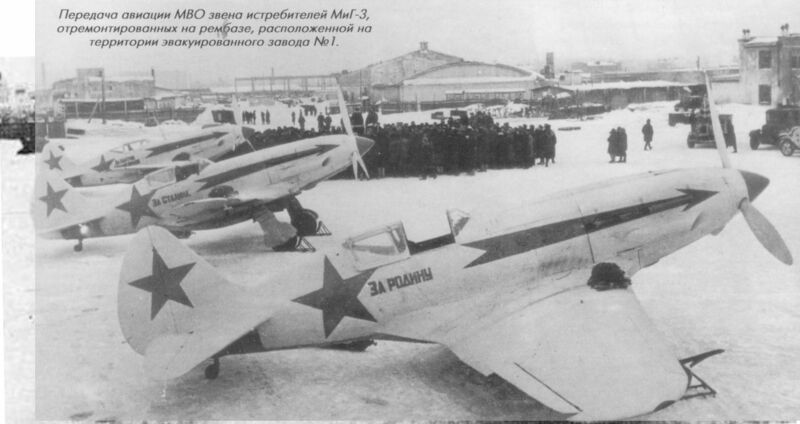 MiG-3 of the 34 IAP operating from Vnukovo (Western Sector, Moscow Corps Command IA-PVO) in the winter of 1941-2. Legend beneath the cockpit reads "For the Fatherland". MiG-3 of 12 IAP attached to Moscow Army Region IA-PVO during winter of 1942-3. This unit began operations in the summer of 1941 equipped with the Yak-1 but converted to the MiG-3 during the following year when it was awarded the "Guards" title. The plan detail (applicable to this aircraft) shows high-visibility outer panels of wings. These were intended to ease location of a fighter forced down over snow-covered terrain. MiG-3 of an unidentified IAP in service during the summer of 1942. Note temperate camouflage scheme. MiG-3 of zveno leader of detached eskadril from IAP assigned to the IA-PVO of the Leningrad Army Region and shot down by Finns over the Karelian Isthmus, September 1942. Note that the aircraft was flown without cockpit canopy or radio mast. MiG-3 of an unidentified reconnaissance eskadril operating over the Central Sector of the Eastern Front and shot down by the Luftwaffe during the spring of 1942. Note unusual camouflage finish applied at unit level, and lack of cockpit canopy and radio mast. Передача авиации МВО звена истребителей МиГ-3, отремонтированных на рембазе, расположенной на территории эвакуированного завода № 1, февраль 1942 г.
MiG-3s of the 34 IAP al Vnukovo, Moscow, in the winter of 1941-2. A MiG-3 preparing to take-off during the winter of 1941-2. Personnel of the MiG-3-equipped 12 ZAP attached to the Moscow Army Region IA-PVO receiving the highly-coveted “Guards" title during the winter of 1941-2. RS-82 missiles may be seen beneath the wings of their MiG-3s. 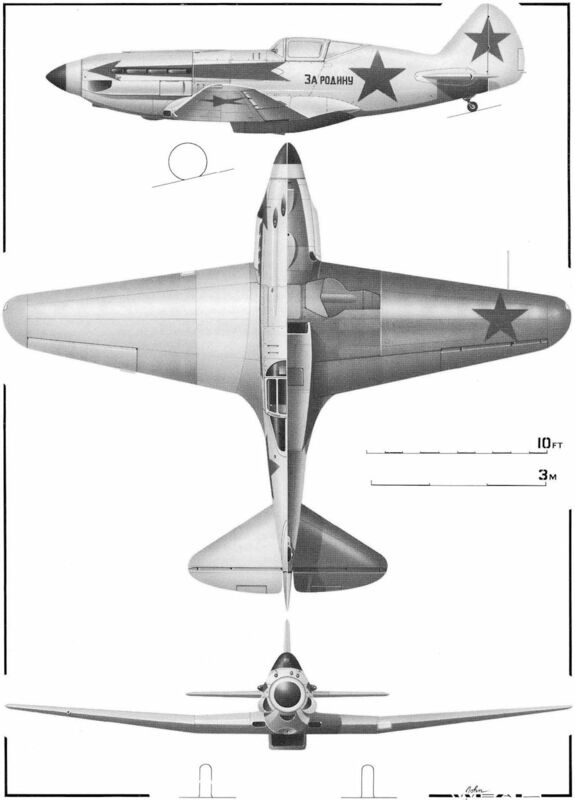 A MiG-3 of the 34 IAP, winter 1941-2.